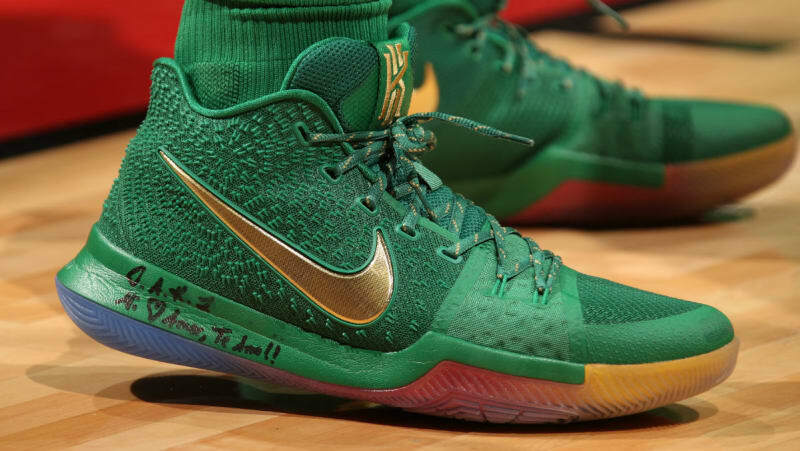 As of late we have seen Kyrie Irving wear multiple player exclusives of his current signature shoe, the Kyrie 3. 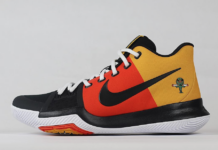 We now take a look at the Nike Kyrie 3 ‘Rainbow’ PE which he wore against the Miami Heat and Indiana Pacers. 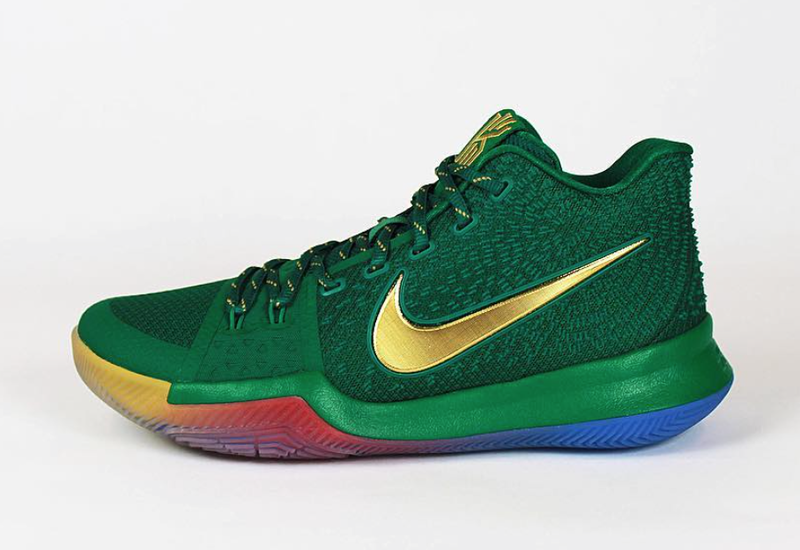 According to beensmoove, the meaning behind this Nike Kyrie 3 PE is the journey for any leprechaun is symbolized by the rainbow, which is seen on the translucent Multicolor outsole. 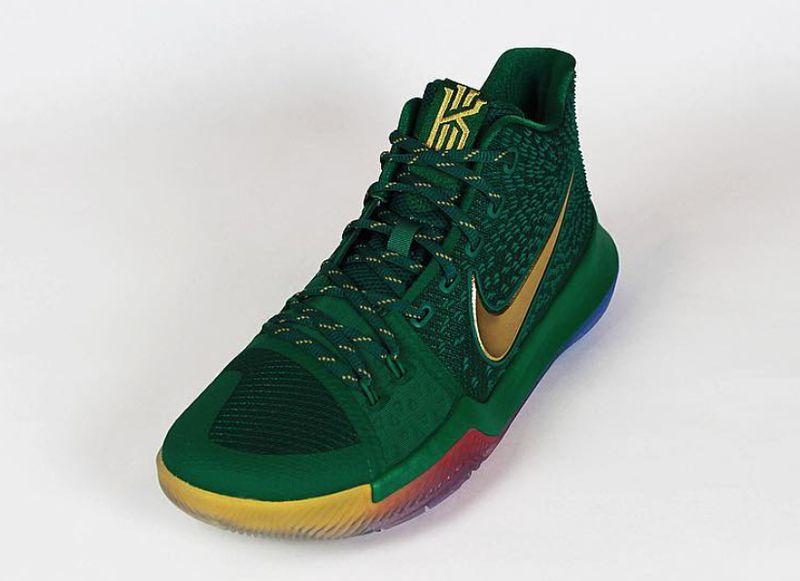 As for the rest of this pair, they feature Green across the uppers while accents of Metallic Gold are used. 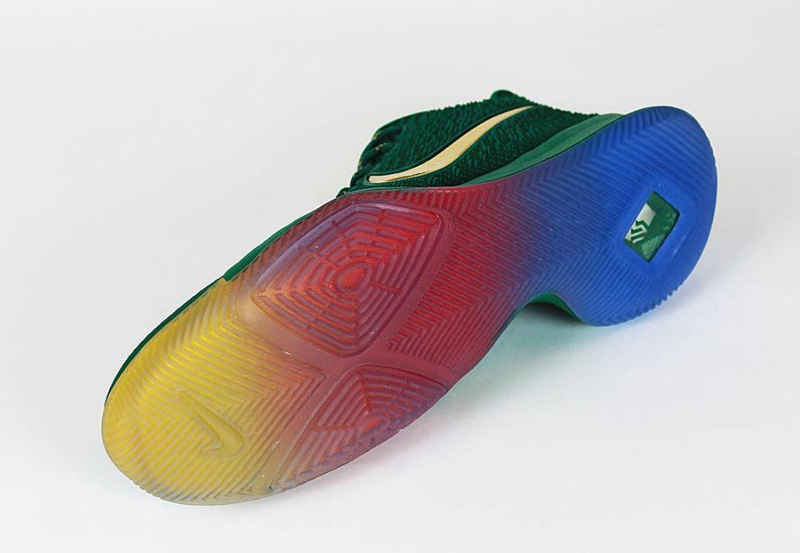 Continue to scroll below to check out more images of the Nike Kyrie 3 Rainbow PE which will give you a closer look. 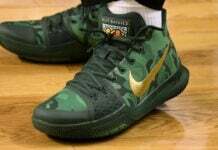 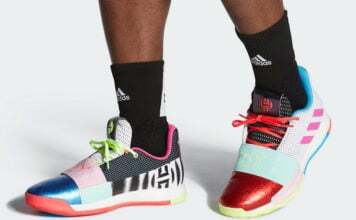 While we would love to see this pair release, Nike Basketball doesn’t have any plans to launch them. 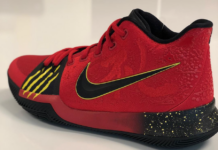 On a side-note, the brand will debut the Nike Kyrie 4 on December 20th.